Okay, maybe it’s not only in Moldova… I actually have no idea how common it is worldwide for pharmacies to not require prescriptions for drugs, but to Americans, it’s pretty strange. We haven’t really needed much from the pharmacy here besides some children’s ibuprofen for Jude’s teething pain, and that’s an over-the-counter drug even in America, so it wasn’t a big deal to us. But Josh recently got a sore on the inside of his mouth and wanted me to stop and get him some Orajel or something like it. So I went in and explained, as best as I could in my limited Romanian, that my husband had a pain inside his mouth, and pointed in my own mouth to show the lady that it was specifically on the inside of his bottom lip. She brought me two small glass vials full of a clear liquid and told me to have him put a little of it on his finger and then onto his sore. 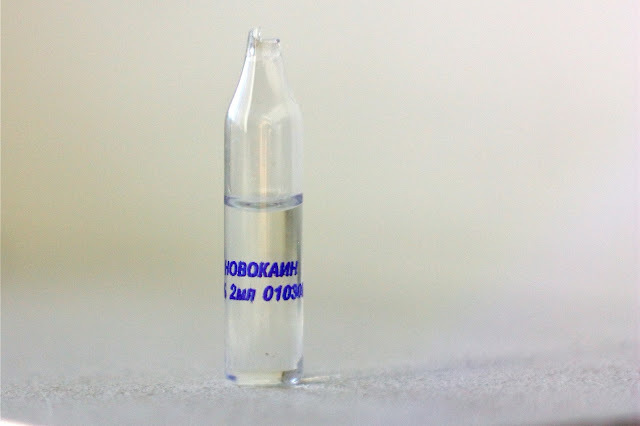 I looked at the vials and saw, written in Russian, новокаин. Now, I don’t know Russian, but I can sound out most of the letters, and this word sounds like Novocain. Yep, this pharmacist had definitely just given me straight Novocain for Josh to put in his mouth! Needless to say, it worked really well, and was an experience we’ll never forget! Wow! If only it were that easy to get prescription type meds here! I just want to be allowed to buy Sudafed as needed without the silliness of the pharmacy. Wow!! To this American mind that is pretty impressive. SO funny! Most medicine here in China is over-the-counter like that too, but the local remedy for mouth problems is to just rub spicy pepper on it... numbs it right up! !